Matthew Peterson: Now let me ask you the bonus question. Now, I know you’ve taught some creative writing workshops in the past. What is some advice you’d give to an aspiring author? Charles de Lint: Well, we touched on it briefly in the interview, just basically, I don’t think anyone should go into it unless they can’t not do it. In other words, no one should want to be a writer or an artist or a musician just because they think it’s a cool thing to be. They should do it because they have stories to tell--they have things they have to get out of themselves. As to the practicalities of it, people always hate it when you tell them this, but it’s a matter of reading a lot and writing a lot. And the reading a lot is so that you see how it’s done. You can have all the best writers in the world as your mentors, right at your fingertips. You read a book and you ask some questions. You ask, why am I bored here? Or why is this exciting? Or why do I like this character? Why do I not like this character? And you look at the text and see what the writer has done, just to give you tools to be able to do it. And then the writing a lot is ‘cause it’s practice and really writing is like everything else. Everyone can write to some degree, you know, they write letters and memos and emails and things. They figure they just have to turn around and sit down and write something, but you know, it’s like playing a piano, if you learn how to play the piano, you wouldn’t expect to be at Carnegie Hall in two weeks time performing, and it’s the same thing with writers, you’ve got to put a lot of practice in--a lot of hours. Matthew Peterson: Yeah. Well, that’s good advice. With my first novel, I sent it out to publishers and I’m waiting... You know, there’s a long wait; there’s months and months and months of waiting. And I’m like, you know, why don’t I start writing some short fiction? And I realized, wow, that short fiction can really . . . it doesn’t take as long as a novel... just write one little five page story or ten page story and really get the feel for different ways of writing. And it really helped me. Charles de Lint: Like you say, you don’t have a huge time commitment, so you can try outlandish things and if it doesn’t work you’ve only lost a couple of weeks. Matthew Peterson: Yeah, yeah, exactly. 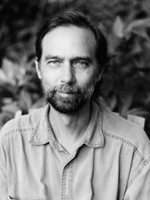 Charles de Lint: My suggestion is if you want to make a living as a writer, that when you’ve turned that first novel in, start the next one. Charles de Lint: So, you know, if you just . . . that’s the best way to do it as far as I’m concerned. Matthew Peterson: Yeah, I think so. Charles de Lint: I write every single day. Doesn’t matter what day it is: birthdays, Christmas, whatever, just to keep it going. Matthew Peterson: Well, good advice, thank you so much, Charles. Charles de Lint: Yeah, you’re welcome.